Aww! Baby nursery animals themed! 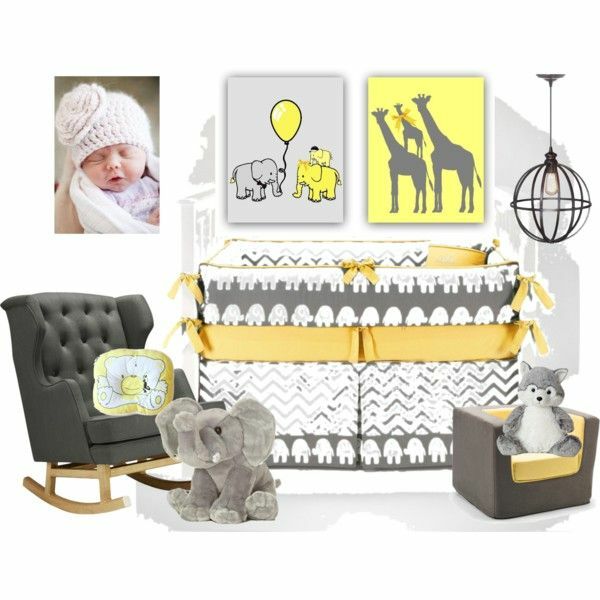 Yellow and Grey colors match perfect in this nursery room, so cute animals Wall Art, Elephants and Giraffes family Nursery Prints, crib bedding, furniture, lamp, all these gorgeous finds put together compose the perfect bright nursery for your precious little one! 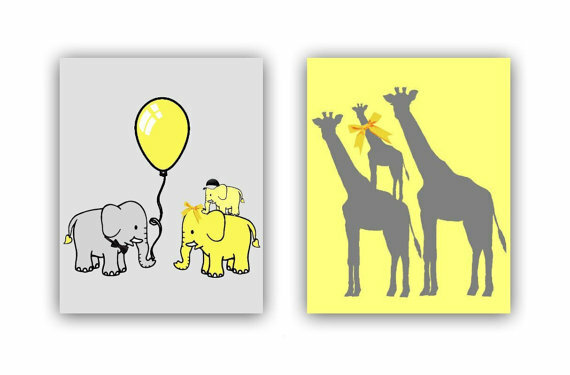 You can see here one of my favorite collection of items for the baby boy nursery decor!